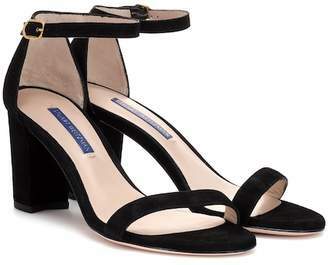 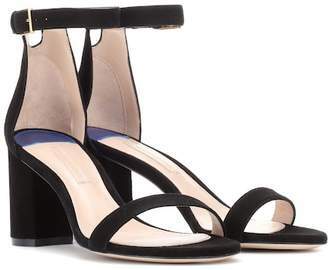 Slim straps compose these suede Stuart Weitzman sandals. 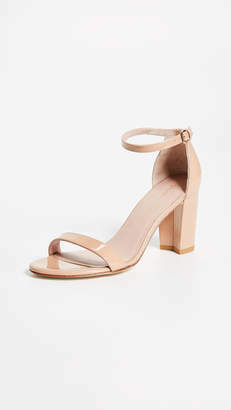 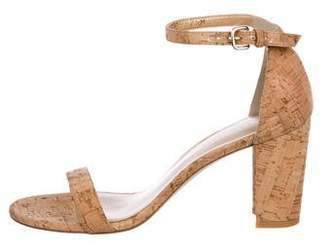 Petite cutout at heel cap. 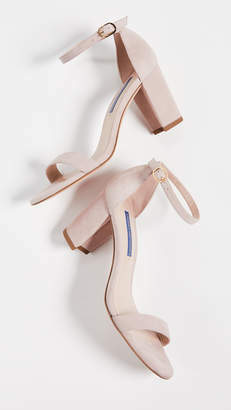 Buckled ankle strap. 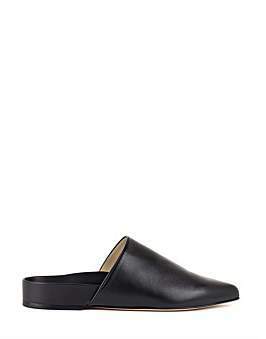 Chunky, covered heel and leather sole.